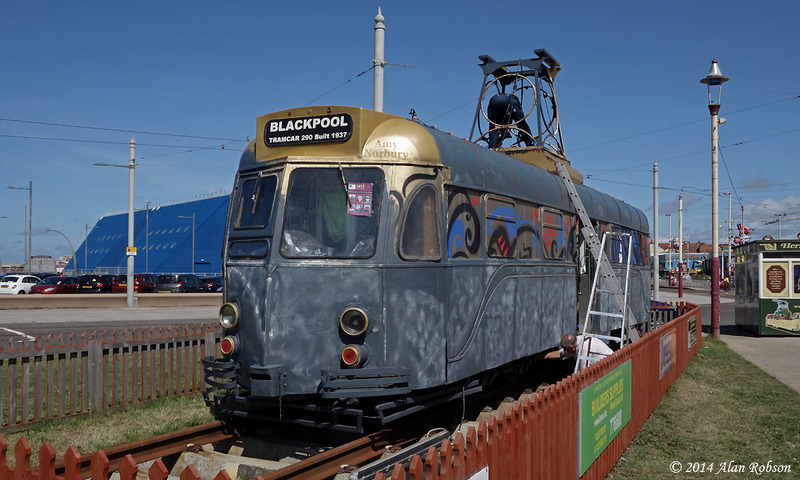 Brush Car 627 opposite Blackpool Pleasure Beach is having the gold based graffiti artwork painted over by its owners the Fleetwood Heritage Leisure Trust. 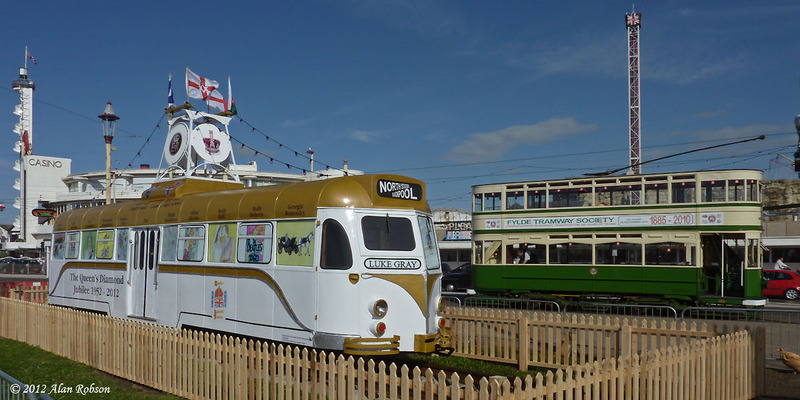 The tram first arrived for display on 22nd August 2012, painted in a white and gold Queen's Diamond Jubilee livery. 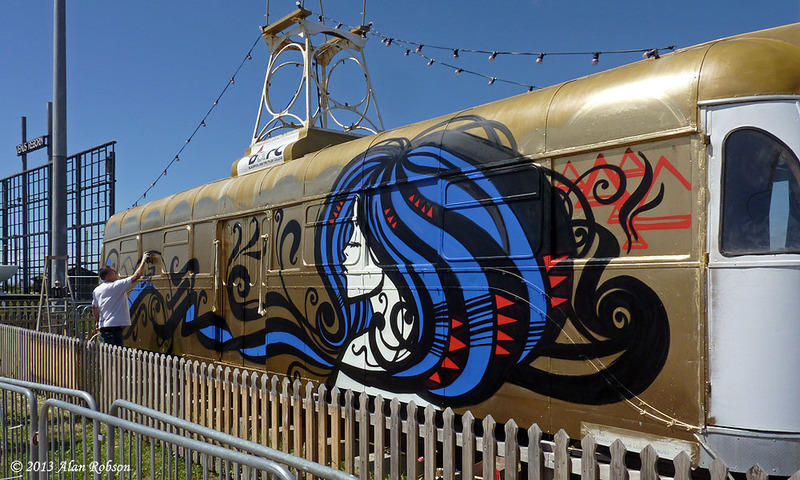 The following year saw 627 being controversially painted by urban street artist "Inkie" in a graffiti style paint scheme of a blue haired lady in June. 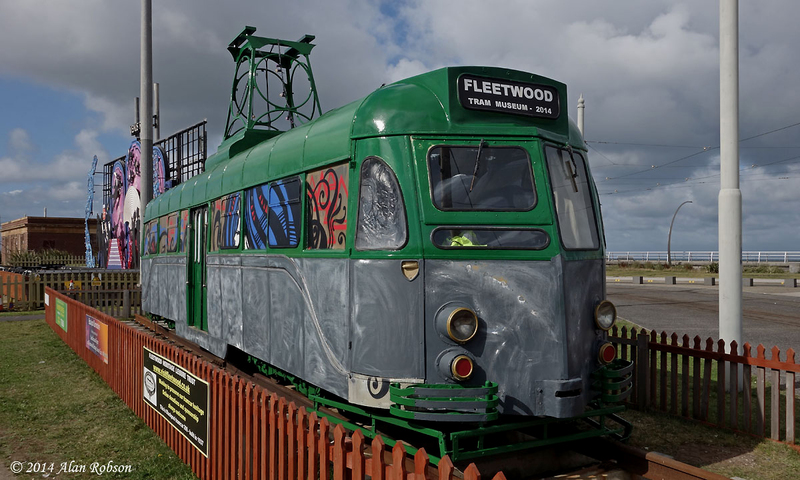 627 is currently being repainted into a green and cream livery, unfortunately the painted over windows will retain their graffiti scheme, and will be covered over with adverts instead of being stripped of paint.